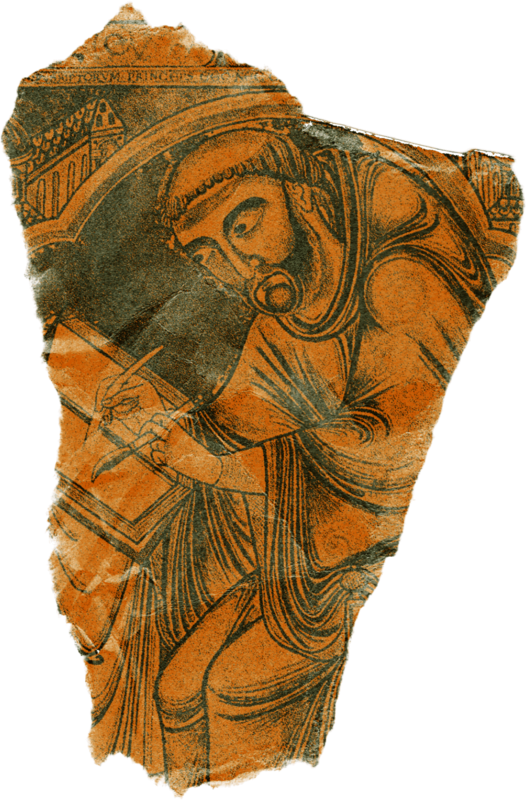 In the scriptoriums of medieval Ireland, monks dedicated their lives to the task of documenting and preserving the wisdom of the ancient world. They spent years lettering, illustrating, and illuminating the Gospels, scenes from local history, and even pre-Christian texts — always by hand, and with tools that would strike modern creators as primitive. Their work was painstaking and time-consuming, with corrections requiring an artisan to literally scrape days of work off the calfskin surfaces of their pages. In principio erat verbum: In the beginning was the Word. 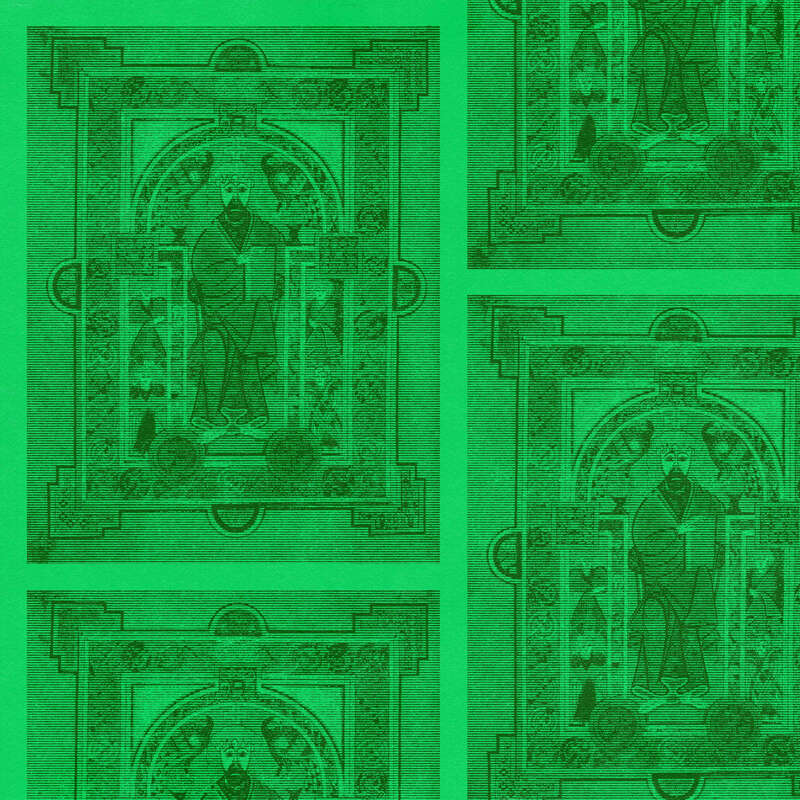 The Book of Kells contains the four Gospels in Latin, weaving together St. Jerome’s Vulgate version with readings from the earlier Old Latin translation. The book is written on vellum in a gorgeous script in the “insular majuscule” style. The whole text was rebound in the 19th century, at which point the pages were aggressively trimmed from their original size and gilded. 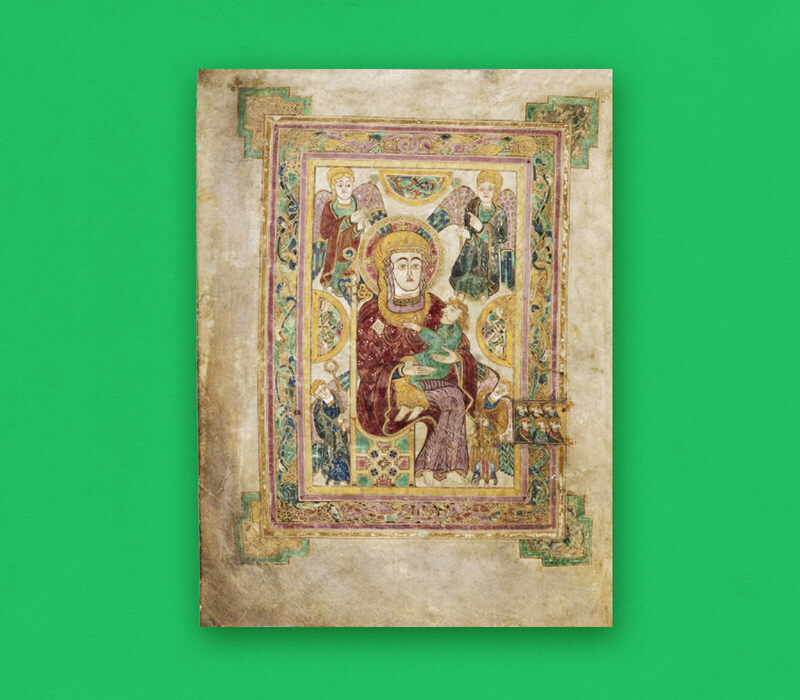 The book was likely created on the Scottish island of Iona, and brought to the monastery at Kells in Ireland after Viking raiders sacked the monastery on Iona. 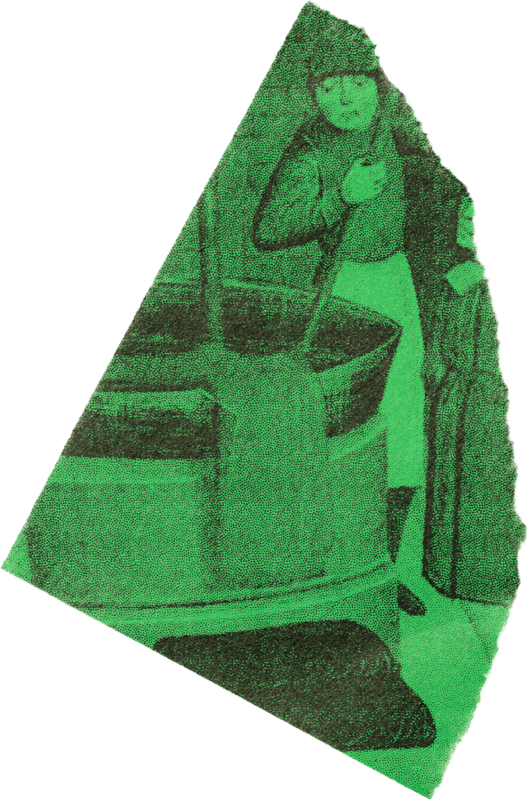 The illuminated manuscripts of the Middle Ages were typically created by monks, often working in concert, though some, like Nicholas of Lynn, worked alone. Medieval monks chose their cloistered, austere life for many reasons, often in order to focus on devotion, aesthetic/cultural work, or simply because they stood to inherit nothing from their families. Their lives were tightly circumscribed in terms of both time and space, with their days revolving around a rigid schedule of prayer and work. This lifestyle, with its devotion to a faith centrally embodied by a single text (the Bible) lent itself naturally to scholarly and artistic works. But their sacrifice has paid off big for the rest of us, as they’re responsible for saving the bulk of the ancient manuscripts we know and love today, including the works of Cicero, Virgil, Ovid, and Aristotle. 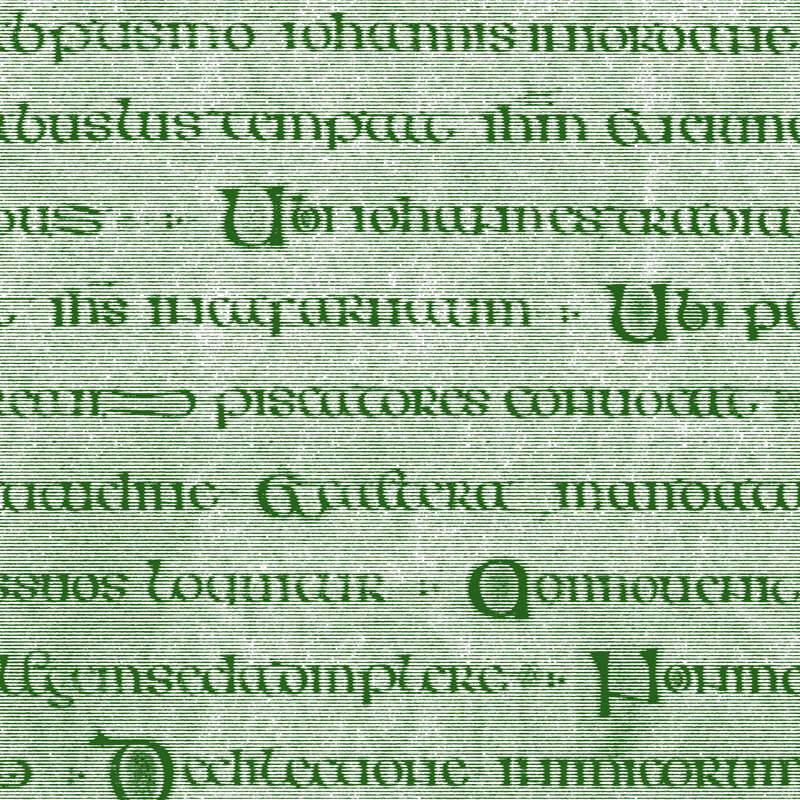 This script style was invented by Irish monks, and has shaped Gaelic handwriting and typeface styles ever since. Considered the most formal of a family of handwriting styles, it was mostly used in sacred texts, though it also appears in a variety of formal texts. Sections of insular majuscule text begin with large initial letters surrounded by red dots, and the letterforms gradually diminish in size across lines. Its ascenders have triangular or wedge-shaped tops, and it uses many ligatures (flourishes that connect letters to improve legibility). MS. Ashmole 370, fols 24v–25r. Nicholas of Lynn, Kalendarium, composed 1386; copied c. 1425.
Credit: Bodleian Libraries, University of Oxford. 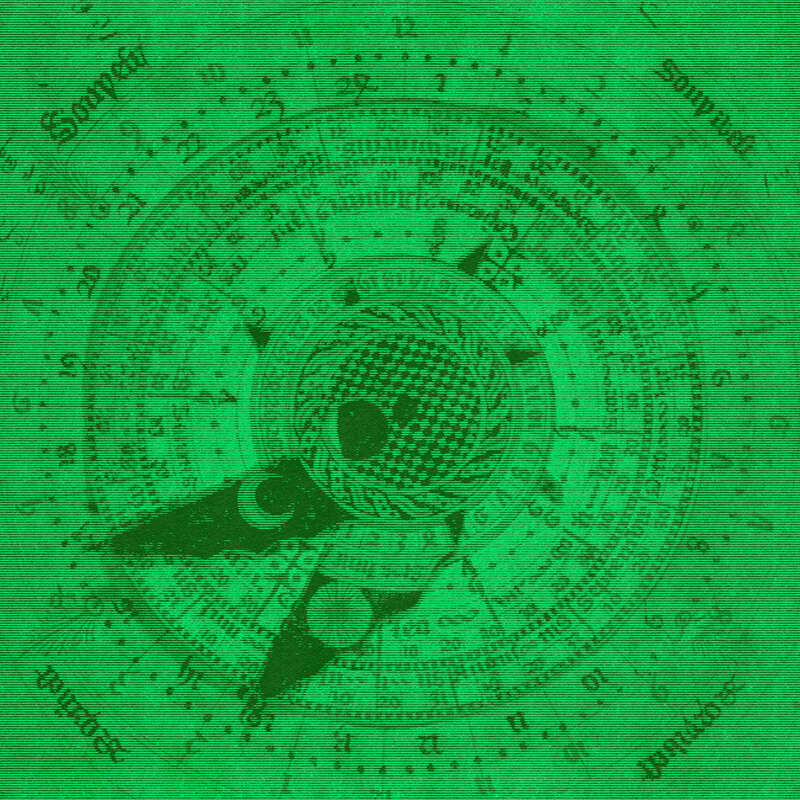 Designed for use in the astrologically based science of the time, the Kalendarium featured sophisticated tables, including rules for synchronising medical treatment with astronomical cycles, such as the right phases of the moon for blood-letting. Lynn’s Kalendarium also contained the moving volvelle above, which let readers make calculations for the phases of the moon and time of night, in more combinations than any one diagram could show, making it something of a paper computer, or primitive animated data visualization. Nicholas was apparently born in the Norfolk port town of King's Lynn (then "Bishop's Lynn"), probably around 1360. According to 16th century literary historian John Bale, he became a Carmelite friar and moved to the university town of Oxford, where he developed a great reputation for his scientific work. In 1386, at the request of the powerful lord John of Gaunt, he published his Kalendarium of detailed astronomical tables covering the years 1387–1462. 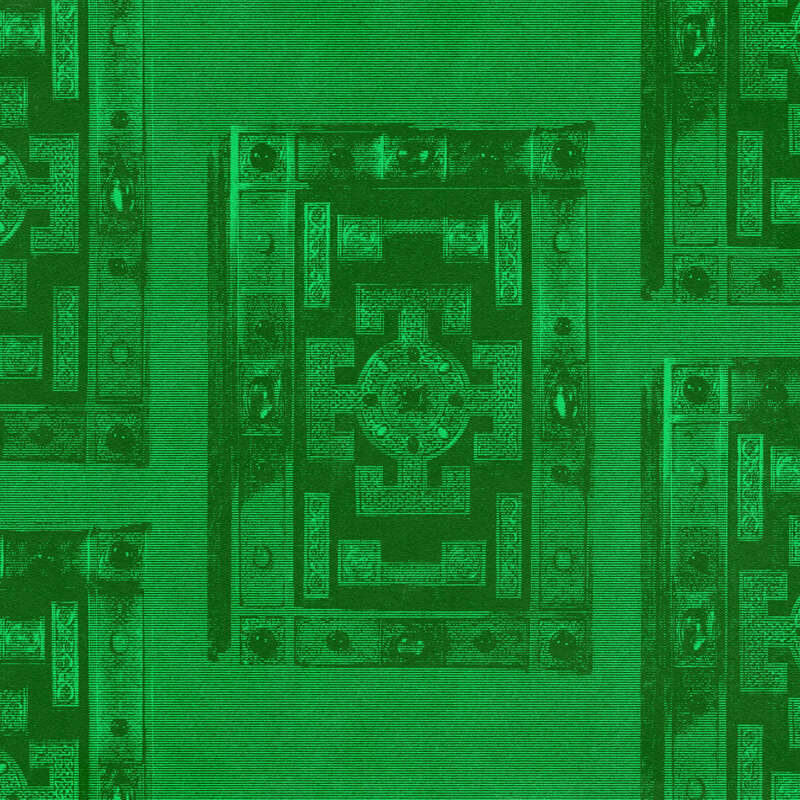 The Lindisfarne Gospels, which contain the world’s oldest surviving English version of the Gospels, present an intriguing twist on this story of hand-making in that the manuscript — this single, unique artifact — has been continuously worked and reworked over the centuries since its creation. It’s not just a manuscript, but a palimpsest — something reused or altered but still bearing visible traces of its earlier form. Unlike most palimpsests, its successive generations of creators have worked largely with respect to the originators, usually working to extend and elaborate rather than elide or rework. 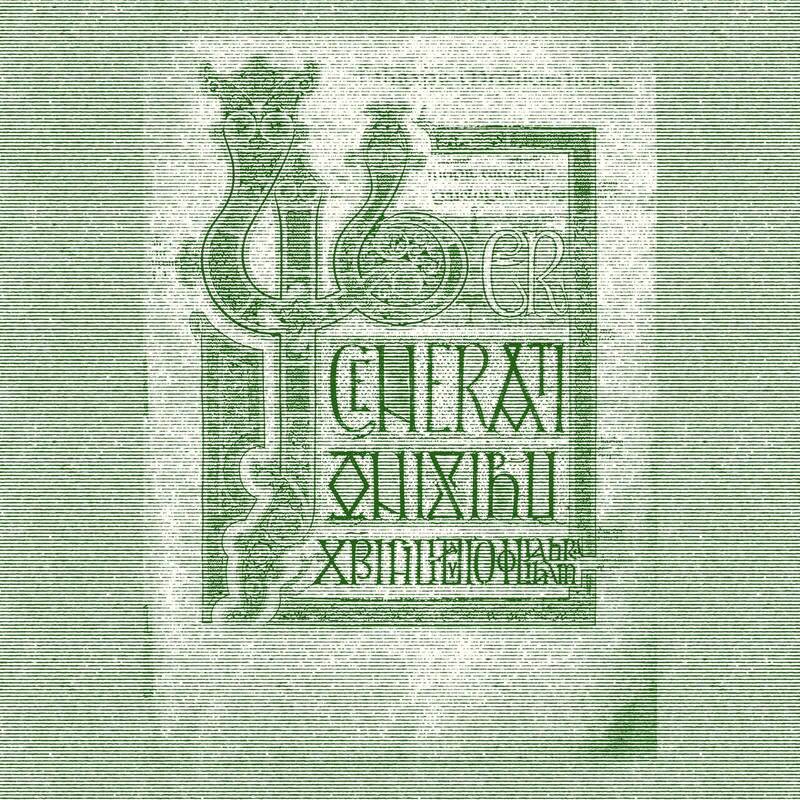 Eadrith, bishop of the Church of Lindisfarne, he, in the beginning, wrote this book for God and St Cuthbert and – generally – for all the saints who are on the island. And Ethiluald, bishop of the Lindisfarne-islanders, bound and covered it without, as he well knew how to do. And Billfrith the anchorite, he forged the ornaments which are on the outside and bedecked it with gold and with gems and also with gilded silver – pure wealth. And I, Aldred, unworthy and most wretched priest [born of Alfred, Aldred I am called; the outstanding son of a good woman I speak], with the help of God and St Cuthbert wrote a gloss above it in English." –Translated by Gameson, From Holy Island (2013), p. 93. The work to restore and maintain the text continued beyond the 10th century, and it is now bound in silver and jewels funded in 1852 by Bishop Edward Maltby. 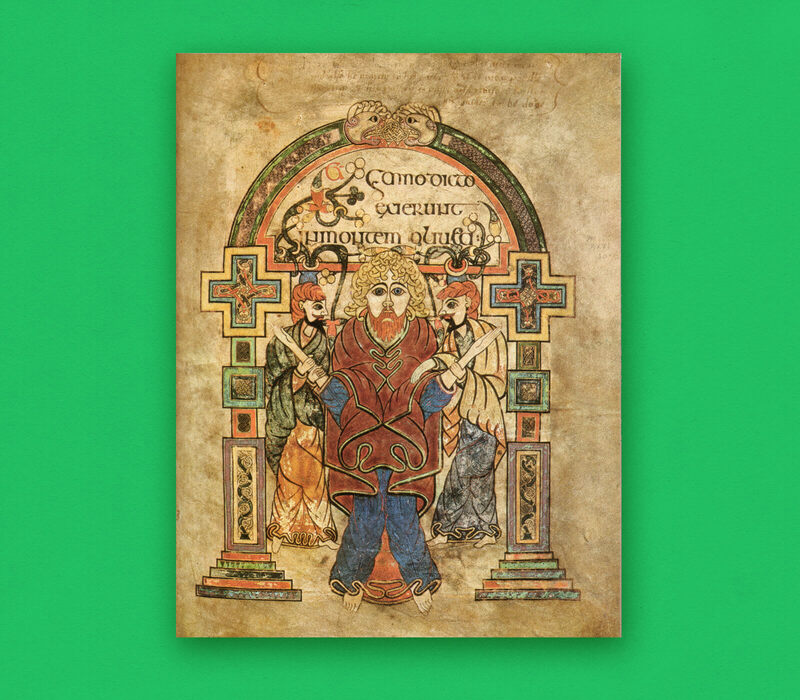 One manifestation of that cultural melting pot in action is the fact that Eadfrith lettered the text using the same style — insular majuscule — as that employed in the Book of Kells. But orthographic, layout, and content standards link the two texts in a multitude of ways, from the elaborately drop-capped initial pages (recto, right, above) to the canon tables (right, recto, below). It’s fascinating to contemplate the syncretic melting pots of cultures these manuscripts represent in the context of our current struggles to integrate sudden influxes of cultural groups into various modern nations, including the United States, the UK, and various member states of the EU. That old biblical truism that there’s nothing new under the sun rings true once again.